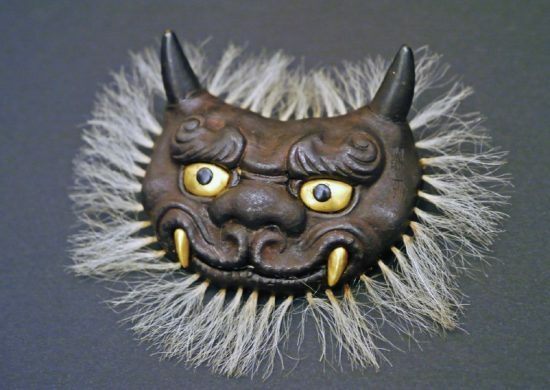 Maedate (frontal crest for helmet) by Myochin Munesuke. Samurai swords, fittings and armor from 700 years ago to the present will be displayed in Garden Room C of the Japanese American Cultural and Community Center, 244 S. San Pedro St. in Little Tokyo, on the weekend of Aug. 20-21 in conjunction with Nisei Week. 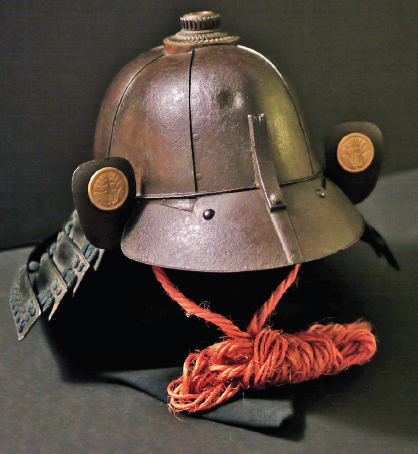 A samurai helmet by Myochin Masuda Sadakatsu bearing three bullet test indentations. There will be no cost for these appraisals; however, donations to the Kumamoto Earthquake Relief Fund will be welcome. Appointments can be made by emailing [email protected] or by calling (323) 680-5813. The JACCC opens at 10 a.m. both days. Other exhibits will include calligraphy, bonsai, furoshiki, kimekomi dolls, sashiko, and photography.